£9 for 2 off clear storage. As much as £17 for one elsewhere . Got these last time around, were oos originally but came back in. They are great quality but huge! 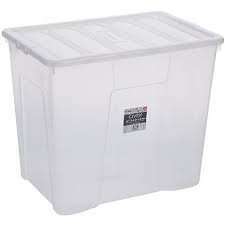 The item "Wham Clear 160L Storage Box - 2 pack" is currently out of stock. This has been removed from your shopping basket.